When you enjoy a genre — like historical fiction or sword-and-sorcery — there logically must be some aspect of the genre that you like. And there likely are some aspects that others would cite as weaknesses that you either don’t notice or are willing to tolerate. As much as I love the fiction of Robert E. Howard, for instance, I will freely admit that there are few engaging female characters in the vast majority of his fiction. And I must also admit that while the prose may be beautiful, even when it’s grotesque, it’s really not about slow, measured consideration. That’s fine with me a lot of the time, though I wouldn’t want to read it all the time. Because I read a lot of older genre fiction, I am used to having to forgive racial and social conventions that make me wince. These attitudes come from the time and region of the writer, thus it always seems fairly absurd to criticize standard outlooks of the time that the writer shared. 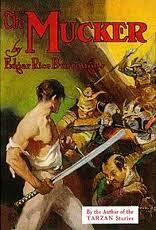 For instance, recently I discovered more than a share of cringe-worthy attitudes about Mexicans and Japanese on the part of some characters in an Edgar Rice Burroughs novel titled The Mucker. Yet looking past that, the novel was surprisingly good. Its second installment (The Return of the Mucker) was far more pulpy than the first; I still enjoyed it, but not as much, for while I have a toleration for pulp, there is a limit to how much coincidence, damsel-in-distress saving, and heroes being knocked unconscious and captured I can endure before I toss a book aside. Other readers have no trouble tolerating any of those issues, but can’t accept the conventions of urban fantasy where vampires are sometimes good guys, or can’t tolerate the technical discussions in hard science fiction. Lately, I’ve been wandering out of the fantasy province to read some westerns, a field I’d carefully avoided and now find of great interest for a variety of reasons. I always used to hear pro writers saying to read outside the field and I used to nod knowingly, because I was always reading history books. I felt like I “got it.” Now, though, as I absorb detail after detail about Indian archery and wilderness survival and horse handling from a genre I used to think would be dull as dirt and full of cliche (really, don’t they all have their cliches and conventions? ), I truly get it, and wonder how I could have convinced younger Howard to read this stuff sooner. Or to look past sparkly vampire prejudice to see some sparkly dialogue between Bella and Edward. Or to try out some mysteries to see how to build a case or some noir atmosphere. I don’t think I’m ready to read every genre, or ever will be. Some continue to bore or irritate me, and a few disgust me. But I get now that it’s not that my favorite fiction is better than yours, just that my fiction works for me better than yours does for me. Good, bad, maybe it’s all just perception. I’ve grown a little more willing to try something without thinking it will taste icky just because it’s green. Vegetables aren’t always bad. I could never have convinced four-year-old me of that, but possibly these not-especially-profound conclusions I’ve drawn about genre will inspire some other young writers to venture outside their comfort zone a little, the way I wish I had done sooner, to learn some techniques from other fields a little faster than I did. You raise some excellent points, Howard. A few off the cuff, not particularly thought out responses. First, I hear what you’re saying about reading more broadly among genres, especially the Westerns. For years I wouldn’t touch one, in part because I was reacting to my brother’s taste in reading. Now, while I don’t read many, it’s not because I don’t like the genre but time limitations. Living in Texas, the West is inescapable. But it’s more than that. There’s a connection between the lone gun slinger, the wandering barbarian, and the detective walking the mean streets. As you’ve pointed out before, these heroes aren’t so different. And what resonates with me about one resonates about all of them. As I’ve gotten older and seen more current events become history, my interest in history has increased. That’s reflected in what I choose to read. And Westerns are historical fiction, albeit a very specialized subgenre. But on the flip side, I also find as I get older that I don’t care what people think and that’s reflected in what I choose to read in a different way. There’s a lot of talk in some circles about how readers should read about characters that are different from themselves in some way. While I agree with this in principle, I’ve found that a lot of what is sometimes suggested isn’t really my things for any number of reasons. 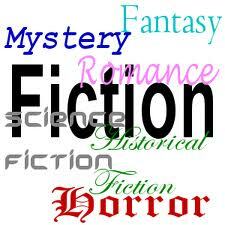 I used to be what David Hartwell calls an omnivore, reading just about any subgenre of fantastic fiction. Now I find myself limiting my reading not to what is the new, innovative title everyone is touting but core subgenres I really enjoy. These tend to be sword and sorcery, military fantasy, space opera, hard science, and time travel, plus historical fiction with swords, noir, and hardboiled PIs in the Hammett/Chandler vein along with the occasional police procedural. In general I prefer to pass on the urban fantasy, the social science oriented sf, the dystopias, cozy mysteries, and the doorstopper trilogies that bloat to X volumes. I’m not getting any younger, and since no one is offering to pay me to sit around and read, I have to make decisions. The balance I’ve found that works best is to mix the new and different with the tried and true. It’s not always easy, especially now that review copies and requests are showing up on a regular basis, not always titles I would buy but look interesting enough to give a read . But this is the approach that seems to work best for me. You didn’t hijack anything, Keith. Thanks for contributing. I happen to agree that I’m only going to read what I feel like reading. I’m not getting any younger, either. On one hand, I’m less patient with prose that isn’t working… but on the other hand, I feel like I’m MORE patient with weaknesses of other genres rather than dismissing those weaknesses as reasons not to read on. That said, though, there’s just some stuff that I can’t take, or that doesn’t interest me enough. And 90 percent of ANY genre, maybe more, is liable to not be very good. I wasn’t familiar with that Lansdale quote. I’ll have to remember that! Although I’m often too busy to read as much as I want, I gravitate towards things I know I will enjoy before I begin reading. It cuts down on wasted time. However, regarding REH — I tend to read the work as the author has presented it rather than the work I wished he had written. If there are few female characters, so be it. If there is a tinge, hint or dollop of racism, well, so be it. That’s the book. I’m the reader. I think you’re right, Sullivan. Sitting next to me right now is the second volume of REH’s boxing collection. I know I’m going to find all kinds of period non-pc stuff. It can’t be judged by the standards of our time; it must be judged by its own time, and wether or not it succeeds at what it is intended for. I wish more people approached the work with those sorts of understandings in mind. Great piece. I’d suspect writers can only benefit from exposure to other genre’s styles of writing and expectations. Readers at the very least, by getting outside of the self-imposed genre ghettoes, will be able to take a break from the same old tropes they’re immersing themselves in. I didn’t break out of my sci-fi/fantasy/horror comfort zones until my early twenties when I started reading crime stories. Until I started blogging and reviewing S&S I’ve managed to keep a nice balance between those (though little sci-fi anymore) fantasy, crime, and horror. I also try to read “literary” fiction as well. It’s articles like this one that have spurred me to get back to books outside the confines of heroic fantasy. I’m still surprised I haven’t gotten into westerns considering how much I love western movies. Keith’s comment about the structural similarities between them and S&S and hardboiled crime is something several people have been talking about lately. I have my dad’s stack of Douglas C Jones books and I’m hoping to read ROMAN HASFORD this year. Let me know what you think of the Doug Jones books. I haven’t tried him at all, yet. Until the last few years I don’t think I explored much beyond historical fiction and fantasy unless I was already with a favorite writer. Robert E. Howard, say, or Leigh Brackett. I’m still pretty terrible at keeping on top of new releases. Part of that is because I’m always leery of hype and part of that is because I have a pretty extensive stack of stuff on my TBR pile, and part of it is I love coming upon a treasure trove of fiction by some new (to me) writer. I was recently introduced to the writing team of Wade and Miller (often writing as Wade Miller), writing in the ’50s and early ’60s and I’ve grown very fond of their hard-boiled style. I’m not familiar with Douglas C. Jones or the Wade Miller books. I’ll need to check them out. Keith, I’ll take a post about Wade & Miller live soon and point you towards some great stuff. Whatever you do, DON’T look at ANY discussion of their Max Thursday mysteries, which are great. Almost every discussion online seems to give away the endings to the books! And since the endings are in NO WAY predictable, at least with the first two that I’ve read, I discourage accidentally spoiling the reads. I don’t know much about Douglas Jones myself and will look forward to more details on him. I regularly read out of the sword-and-sorcery genre (even though that is where my writing is currently hanging its hat). Often I find that I want to clear my head of the tropes and the language so that I can approach my writing more clearly. Too much S&S and fantasy and I worry about getting too derivative. Usually I reach a certain point in my fantasy reading where I get part way through a book and I can’t go any further and want to hurl it across the room. So I tend to find myself gravitating towards the European Noir genre – Izzo, Kernigan, Carlotto. I enjoy the characterizations, the world view, and the pacing. Hi Peter — thanks for dropping by. I think I know what you mean about “clearing my head.” It’s almost like cleansing the palate. You don’t want to sound like every other writer out there working in the same field. You know, I haven’t read ANY European noir yet. I’m still relatively new to American noir. I’d love to hear more about the authors you like, why you like ’em, and which books you’d most recommend. I’d recommend Jean Claude Izzo’s Marseilles Trilogy as a place to start. They are gritty, dark and fast-paced. They evoke the beauty and decay of Marseilles – from the descriptions of food and place to the racial problems and corruption. The arc of the main character carries through the three books, and true to noir, things spiral downwards. For me, they carry some of the same tension that we see in Robert E Howard between the past and its values (the barbarian) and the present (civilization). And the same larger questions of how does a character of old values survive or persevere in a corrupted, dark world? Europa Editions has created a World Noir imprint and most of the books under that imprint have been good reads.